Yes ! you read it write. You can get 20+ high PR backlinks in just few minutes. Website analytic tools are one of the best ways to get instant backlinks. These tools are very effective to increase reputation of your blog or website. Webmasters use these tools to see SEO report and analyze website statistics. Using these tools one can get detail information of any site including page-rank, reputation, number of backlinks, page loading time, Alexa rank, whois IP, traffic estimation etc. You can easily see detail just by putting your site's name and clicking on analyze/check button. Basically web analytic is a four step process which includes measurement, collection, analysis and reporting of web data. Web analytics is not just a tool for measuring web traffic but can be a source for backlinks. When you use any website analytics tool for the first time then these tools scans your website or blog and updates it in their database and thus this way you get a backlink. Here i am having a list of 20+ websites that can help you to analyze your blog or website as well as build instant high PR backlinks. I think i don't need to say much about it. You must be familiar with it completely. 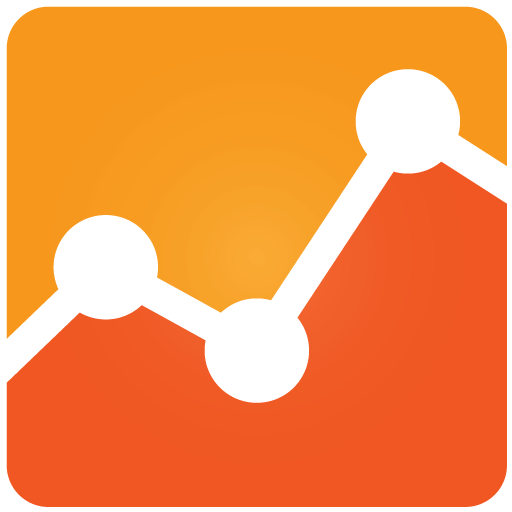 Google Analytics generated detailed statistics about a website's traffic and traffic source. It's the most widely used website statistics service. It can track visitors from all sources like search engine, social media and direct visit easily. It also tracks pay-per-click networks, email marketing and digital collateral. Basic service is free of charge and a premium version is also available. You will get a instant backlink of page rank 4 with this tool. Beside this you will get details such as IP address, whois address, Alexa rank, safety rank, server detail, page size, how to optimize website, SEO score, daily page views, Html information, important Html tags, social presence, Similar websites, same IP websites, and page loading time. It’s a simple analyzing tool that will give you information about your site’s Alexa rank, page rank, daily visitors, daily page views, backlinks, whois address, similar ranking site’s name, estimated price of the domain etc. Price and daily page views are just estimation they may vary. This is a little different tool to analyze your website. It gives a score out of 100 to your website according to the SEO. It looks quiet interesting when you gets a score. This way you can improve your score and no doubt reach to 100. Some of the factors included in its score are Html tags, meta description, meta keywords, iframe test etc. This site will give your a score out of 10 after analyzing your website. You can see some basic details about you website such as meta description, meta keywords, XML sitemap is available on your site or not, robots.txt file detail, Alexa rank, traffic info etc. This tool offers various kinds of methods to analyze your website completely. Tracking visitors and page views is very simple task for this tool. As the name suggests this tool is for website safety and reputation. It tests websites against spyware, spam and scams with smart scanning technology in real-time. You will get a reputation score out of 100. Here score 100 refers to the highly reputed websites. Here "WOT" represents Web of Trust which is important for every website and blog. You need to register in mywot and verify your site in order to get a instant PR 6 backlink from this analytics tool as well as a lot of reputation. You must be familiar about McAfee antivirus. It's one of the top rated antivirus. SiteAdvisor is an anti malware tool from McAfee which detects bad and good sites as well as give a badge. Green sign mean your site is safe. It's a complete package of SEO tools. You will get a huge variety of tools to analyze your website completely. You must try it for once and also you will get a high PR backlink from this site. I am listing some more high PR websites below to analyze your blog and get a backlink. Reasonable points and methods to increase the ranking of alexa. Every blogger must know about this tool. By using alexa, we can check the ranking of our blog. But a doubt is, there are lot of controversy between google analytics and alexa. When the traffic was high in analytics for a week long, there should not be any difference in alexa ranking. Will you tell about this. Good list. Some i din't know existed. Some i found extremely helpful. All in all, great collection. I once used a website for this. It was automatically submitting your website to these analytics sites. Can't find it anymore. Any idea? Thanks for sharing great analytic tools. It is very informative post for instant backlinks.